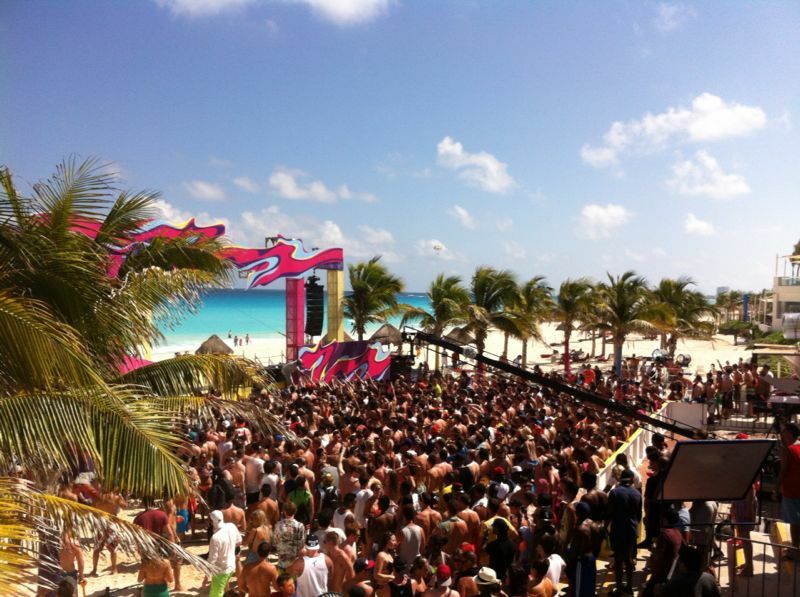 Home of 2019 MTV Spring Break! 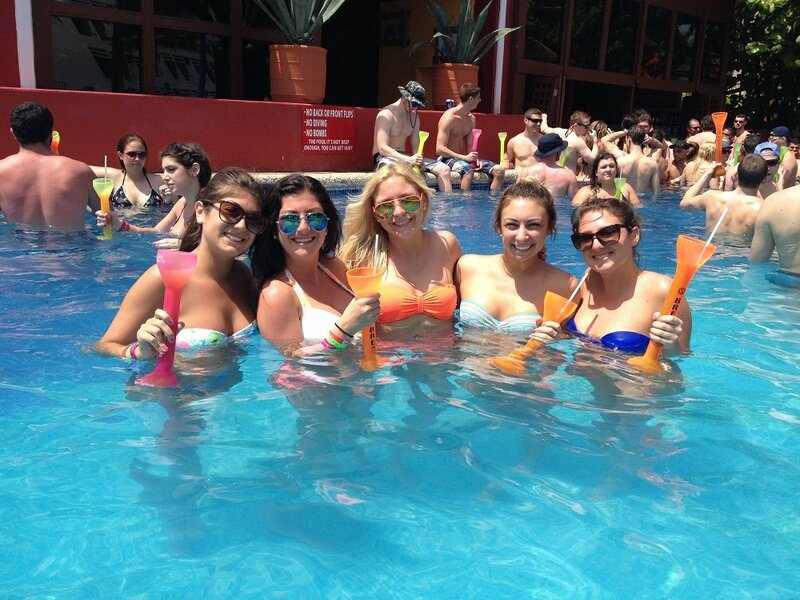 BOOK AND FIND OUT WHY MTV CHOSE THE OASIS FOR IT’S 2019 SPRING BREAK! 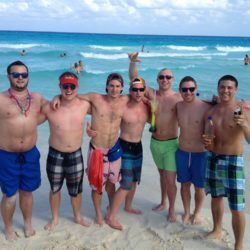 The Oasis Cancun Lite Resort is the most popular student choice for Spring Break 2019 in Cancun. 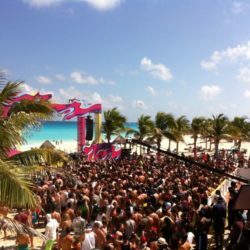 This all-inclusive beachfront hotel boasts a 1/4 mile swimming pool and is the center of daytime partying during Spring Break. 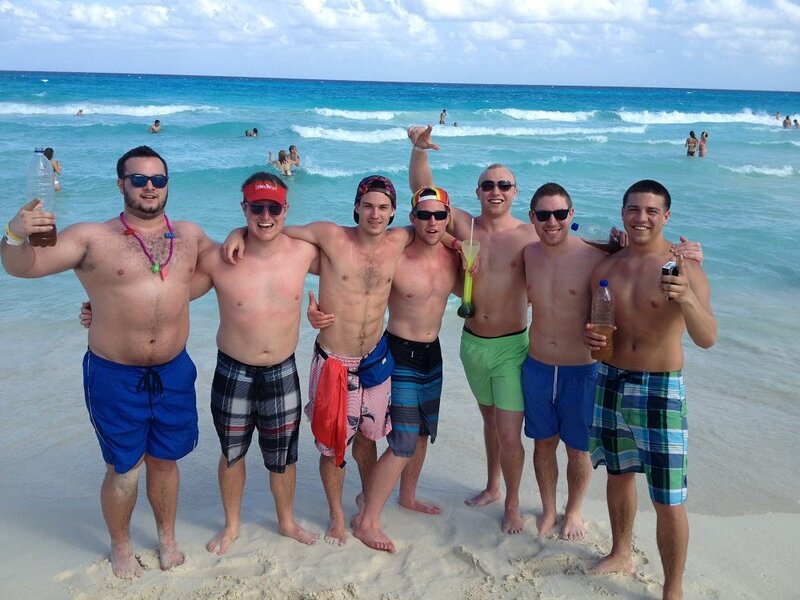 With over 900 rooms that will be full of Spring Breakers, the fun never stops (see below). 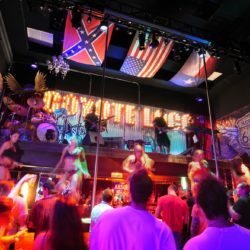 Find out why MTV choose this as their spot for MTV Spring Break 2019. 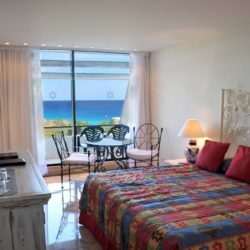 The All Inclusive Entertainment Resort Oasis Cancun Lite is a renovated and exclusive resort hotel located in one of the best spots in Cancún. 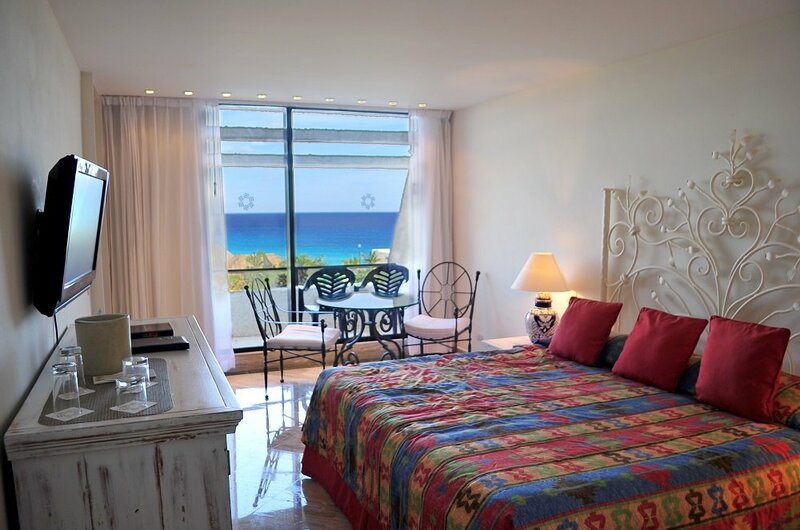 With a 650 meters beach front, the new Oasis Cancun Lite offers a range of possibilities for fun and relaxation that will make your holiday truly unforgettable. The complex holds a recently built impressive stage which will bring together international artists. It also features two beach clubs, spa, gym, 9 hole par 3 golf course, tennis courts, shops, seven convention rooms, business center, 8 restaurants and 8 bars and a swimming pool of over 300 meters – the longest in Latin America. It encompasses one pyramid shaped building in the center and four lower buildings by the upscale hotel beach. All surrounded by lush gardens and an idyllic setting to enjoy the sun, the sand and the beautiful Caribbean waters. I’m confused, what’s the difference between the Oasis, Grand Oasis, Oasis Cancun Lite, and the Pyramid? 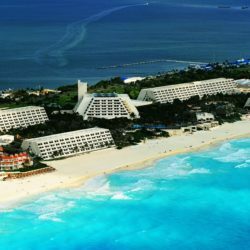 The Oasis Cancun Lite, Grand Oasis, and The Pyramid are all the same property, commonly all referred to as “The Oasis”. That is the Spring Break hotel. 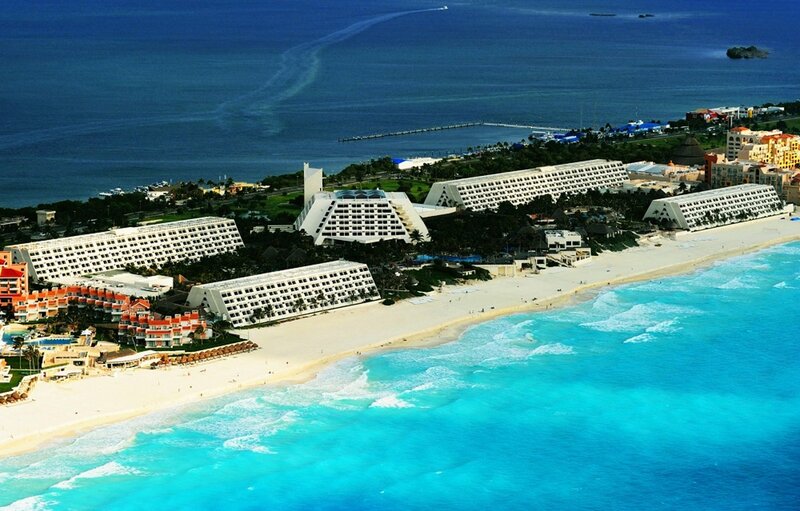 The Grand Oasis and the Oasis Cancun Lite are the same rooms, and same 4 buildings surrounding the Pyramid. The only difference between the two is that the Grand Oasis has a few more specialty restaurants included in the package that they don’t allow Spring Breakers in. 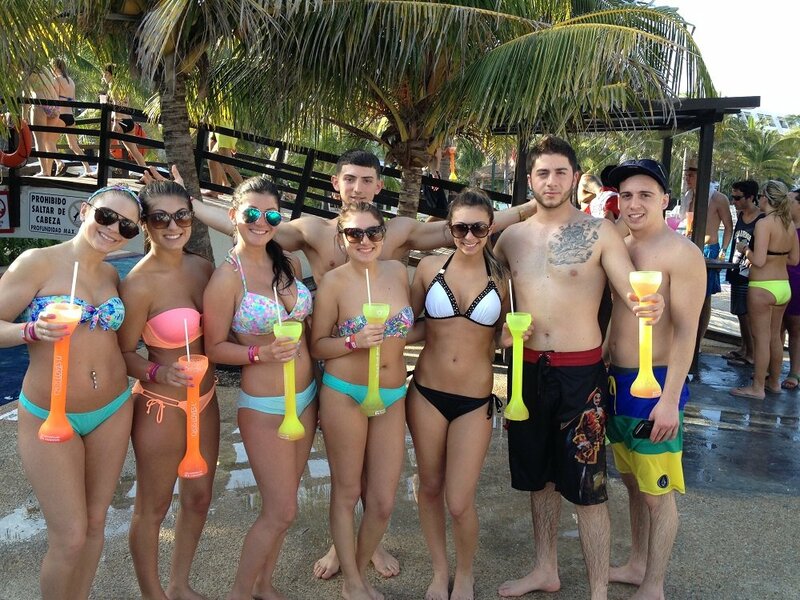 For that reason, the package Spring Breakers get is called Oasis Cancun Lite (8 bars, 8 restaurants). However, it’s the same buildings/rooms as the Grand Oasis. The Pyramid, although on the same property, does not allow Spring Breakers to stay there and is more expensive.